The below instructions should have you set up with both Keras 1.2.2 and theano 0.9 on Windows 8.1 in 30 minutes or less, depending on the speed of your internet connection. I can confirm that this set up is suitable for all the lessons in the fantastic Practical Deep Learning For Coders, Part 1, course. Installation of Visual Studio Community 2013. Installation of the CUDA 8.0 Toolkit. Providing you have a suitable Nvidia GPU and you have installed both Visual Studio Community 2013 and the CUDA 8.0 Toolkit you are ready to proceed onto the next steps. Start the Anaconda Prompt, install bcolz (for use in the fast.ai course) and then update all packages. Extract the contents of the cudnn-8.0-windows7-x64-v5.1.zip archive to its current directory. C:\Program Files\NVIDIA GPU Computing Toolkit\CUDA\v8.0\. This will copy all the required cuDNN files into the bin, include and lib directories, inside your CUDA 8.0 install. 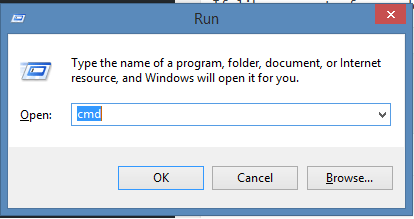 The easiest way to do this, because windows explorer won’t let you create a .theanorc file, is to open up notepad, copy the above text and save with “Save as type” set to “All Files (*. *)”, alternatively you can download from here. Test your install is using the GPU by running the code provided by the theano team. The output when run through the anaconda prompt should resemble the below, to verify that theano is using the GPU you want to see the text “Used the gpu”. The instructions below will install an older version of Keras, the current version at present is 2.0.6. 1.2.2 is the version which the fast.ai course was constructed to use, and hence the most widely tested. If you want to install the latest version instead then skip this section and go to Installing the current version of Keras. Press the windows key + r and type in cmd. Create a keras.json file inside the newly created .keras folder and add the following. Alternatively you can download the .keras folder from here. Test your Keras install with the training example shown below. If everything is installed correctly the output from the above code should be similar to the below. Download or clone the course material to your user directory. Type jupyter notebook in the Anaconda prompt and enjoy the course. The latest version of Keras is not guaranteed to work with all the lessons from the Practical Deep Learning For Coders, Part 1 course, however with the changes below I have not had any errors, only warnings regarding API changes. Install the latest version of Keras. If you have any comments and/or problems then please let me know. First of all, thank you for publishing such useful instructions. In the course, Practical Deep Learning For Coders, Part 1, is mentioned that they are using Python 3. I would like to know if I can follow the same instruction to install Python 3. The v2 of the course uses pytorch and python 3 which should be even simpler to configure on windows, I would check out the fast.ai forums to see if someone has written some installation instructions. I wrote this guide so people could follow v1 of the course on windows. Then when you first run the notebooks you may find there are a couple more missing packages which are not available directly through conda as they are in linux, but these should be easy to track down.